We provide Antibacterial Epoxy Coating Service in the market.These services are formulated, using active ingredients under the close inspection of chemical engineers and they are free from impurity. We are involved in offering a wide spectrum of services. These services have got usage in the elimination and prevention of fungus. Since 2014, at Faridabad (Haryana, India), we “Om Sai Enterprises”, are the leading Manufacturer and Service Provider of Industrial Epoxy Flooring & Coating. 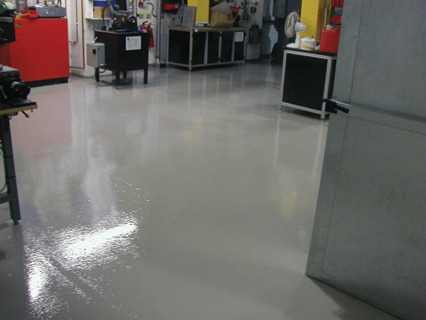 Our offered products are Floor Coating, Epoxy Coatings and Coating Flooring. Apart from this, we are also engaged in offering services of Epoxy Coating Services. The entire range of products is accurately formulated by using high grade raw chemicals in total compliance with the seat international quality norms in order to make sure perfect formulation of products. Our skilled procuring agents obtain these raw chemicals from the reliable and certified vendors of the industry. We have highly talented personnel who have huge expertise in the formulation of these products. They precisely test the entire range of products on the set parameters of quality like purity and composition. Latest techniques and cutting edge technology is being used to precisely formulate our offered products and they used for coating purpose. These products are available is assorted compositions and packaging options in order to meet precise needs of the clients. The entire range of products is highly appreciated by patrons for high quality, longer shelf life and precise composition.